France Trampoline has several fixing systems on offer for your outdoor and indoor hammock nets and sunbeds. - Our galvanized steel Eye Screws are available in two different sizes : 8 x 80 mm and 12 x 120 mm. 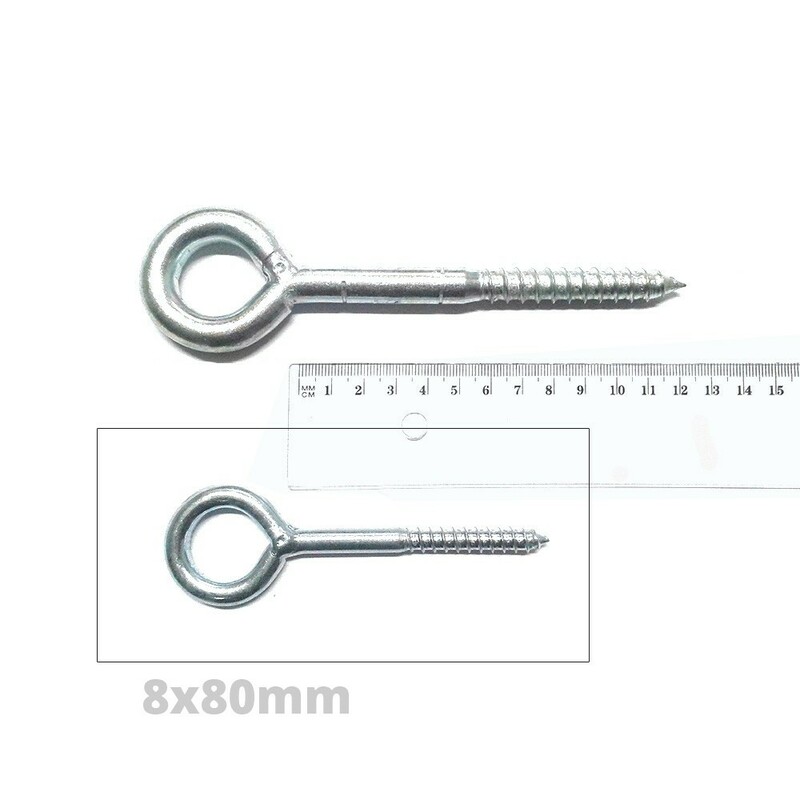 - 80 mm Eye Screws have 45 mm thread (total length = 120 mm). We advise you to screw them in at least 70 mm. 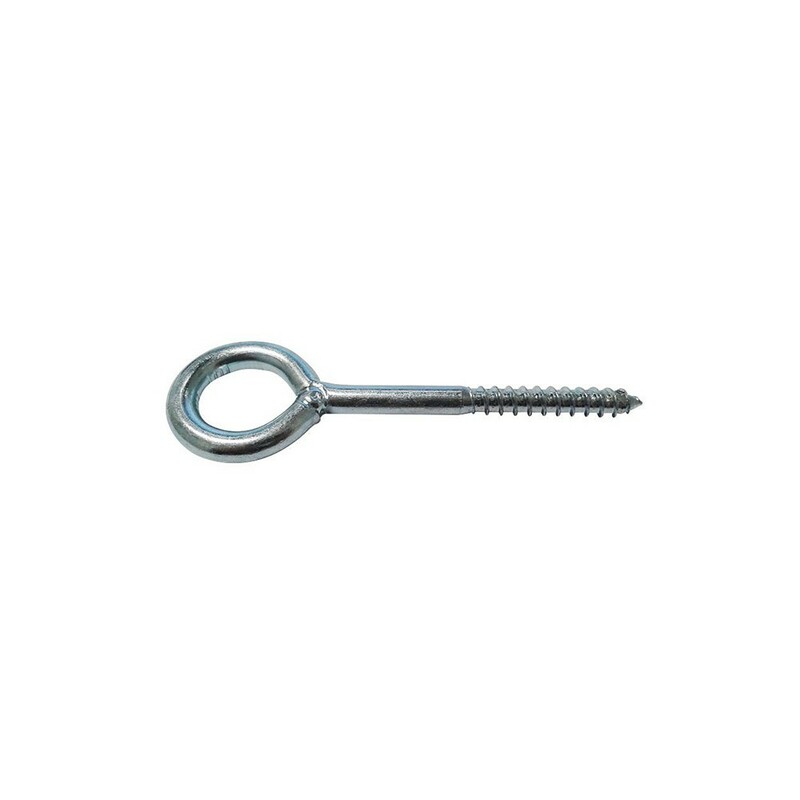 - 120 mm Eye Screws have 65 mm thread (total length = 170 mm). We advise you to screw them in at least 105 mm. - The eye is closed, so your rope will not be able to slip out of the eye screw whilst using the net. The eyelet is polished inside and out to avoid damaging or even sectionning the rope once stretched. - These eye screws can be used on hard surfaces such as cement, brick or wood. They must not be used on plaster or plaster boards. - To help you to screw the eye screw in, we recommend slipping another eye screw through the eyelet and turning it as you would a screw, or you can also use a screw driver, this will be much easier if you need to screw eye screws in around the whole perimeter of the supporting surface. - We advise you to pre-drill holes into the surface before installing them. This will help you to guide the eye screw in order to not damage the surface. We recommend placing them every 150 mm to ensure that the hammock floor net is well placed, improving tension and spreading the weight around the net once it is stretched. 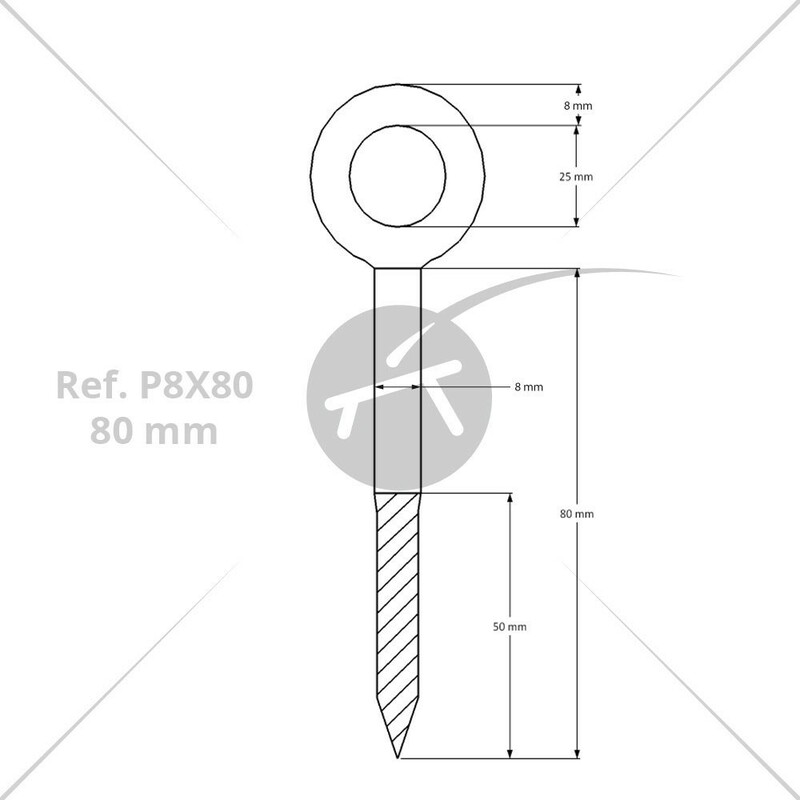 - We also provide adapted wall plugs for the 80 mm and 120 mm eye screws designed for cement walls. We also provide an installation guide that will be sent 48 hours before receptionning your order.